It’s a huge day for our colleagues in the New Internationalist office in Oxford UK. That’s where the magazine’s editorial team is based and where New Internationalist books and the famous One World Calendar are produced. Today they are launching their #factsandheart Community Share Offer. 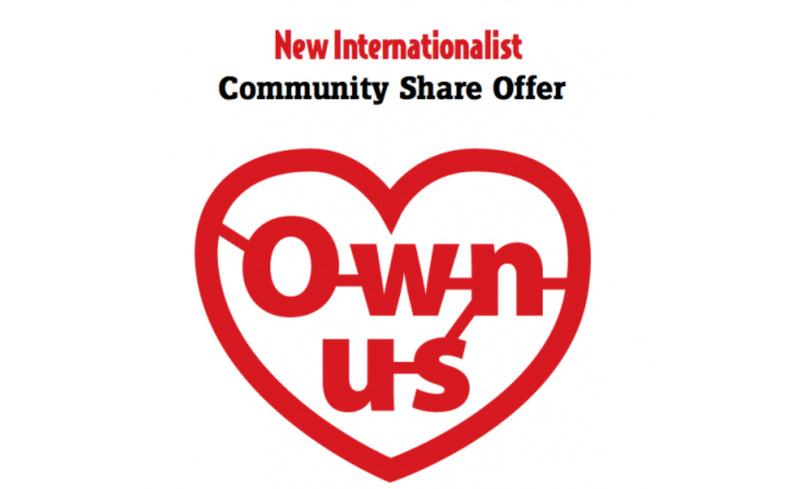 It’s a fascinating new model for the ownership of independent media, and a chance for supporters of the New Internationalist to become co-owners. To a significant extent, the future of independent journalism at the award-winning New Internationalist hangs on the success of their all-or-nothing crowdfunding campaign to raise £500,000. It’s a brave venture; just the kind of fearless independent thinking that readers have come to expect from the New Internationalist magazine, which is celebrating its 500th issue with the March 2017 magazine. This entry was posted in Activism, Independent media and tagged activism, crowd-funding, independent media, New Internationalist magazine by Brian Loffler. Bookmark the permalink.